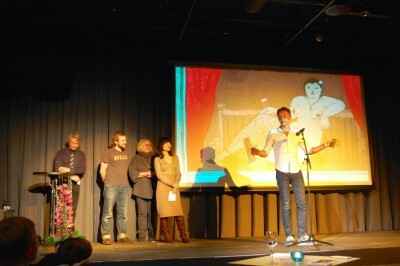 Fredrikstad Animation Festival 2014 was held from 6th to 9th of November at Fredrikstad Kino, Litteraturhuset i Fredrikstad and Visningsrommet Nebbet. The Festival celebrated its 20th anniversary and presented the largest seminar programme in its history, with a special focus on character animation. 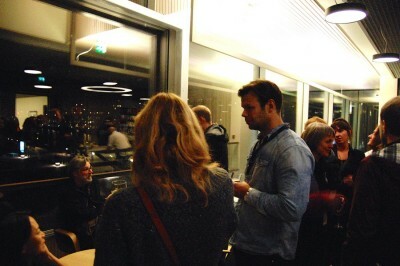 The festival screened new Nordic and Baltic shorts and international feature films and presented a special programme on animated documentaries and expanded animation. Official guest during the festival were Tamaki Okamoto (Jpn), Michal Makarewicz (US), Wes Mandel (US), Danny Antonucci (Can), Joonas Utti (Fin), Annegret Richter (Ger), Paul Mathot (Ned), Juügen Hagler (Aut), Linda Hambäck (Swe), Camilla Larsson (Swe), Björn Verloh (Ger), Kine Aune (Nor), Antonia Ringbom (Fin), Pii Berg (Fin) Kari Pieskä (Fin), Frederik Villumsen (Dk), Bjørn-Erik Aschim (Nor), Niki Lindroth Von Bahr (Swe), Ville Salervo (Fin), Anne Kristin Berge (Nor), Michelle Kranot (Isr/Dk), Uri Kranot (Isr/Dk) and Steven Sole (Uk). 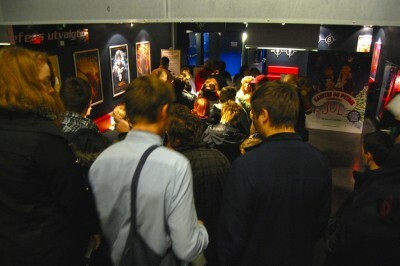 The total of 140 films were screened during the festival. The main programme is the competition programme of Nordic and Baltic animated shorts, and included in total 16 professional short film, 14 student films, 52 commissioned film and 8 children’s film. 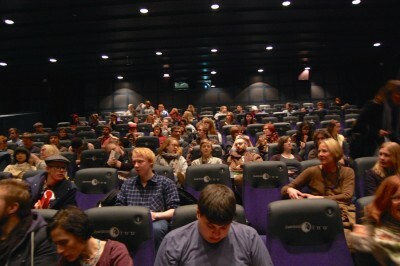 In addition to the competition programme the festival programme had special screenings including animated documentaries, expanded animation and previous Grand Prix winners. 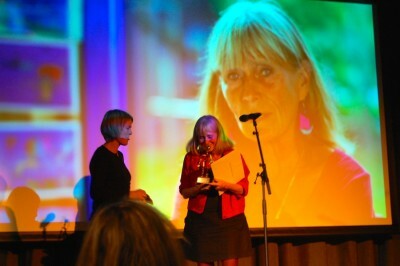 The festival board honored Antonia Ringbom for her work as an animator, director and animation teacher during more than four decade. She has played an important role in Finnish animation as one of the pioneers in Finland, often talked about as one of the members of the “Girl Mafia” in Finnish animation. She has received awards for her film about the artist Ellen Thesleff (Montreal 1990) I Seek The Sun and Upstairs and downstairs (KETTU-award/best Finnish short film 1994). Jury: Tamaki Okamoto (Japan), Kari Pieskä (Finland) and Kine Aune (Norge). Jury: Tamaki Okamoto (Japan), Kari Pieskä (Finland) and Kine Aune (Norway). Jury: John Tobias Larsen, Sivert Finstad, Aksel Berg, Andrea Berg and Nico Stenseng-Molven. Come on Ketchup, let’s Go! 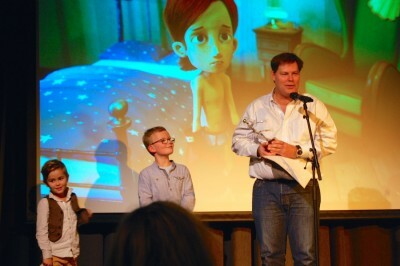 The Seminars during Fredrikstad Animation Festival had one focus on character animation. Michal Makarewicz from Pixar Animation Studios held a class on character animation, Wes Mandel, animation supervisor had a “making of” presentation of The Book of Life (2014). Danny Antonucci, the creator of Ed, Edd ’n’ Eddy talked about his career and character design. Award winning Michal Makarewicz, directing animator at Pixar Animation Studios, held a lecture on character animation. In his lecture Michal Makarewicz talked about the variety of workflows and the procedures how to start the work in animation, from first testings to the profound development of a character. Wes Mandell is the animation supervisor of the 3D feature The Book of Life, directed by Jorge Gutierrez and produced by Guillermo del Toro. Wes gave the festival audience insight into the process of making the film from the first sketches to finished animation. 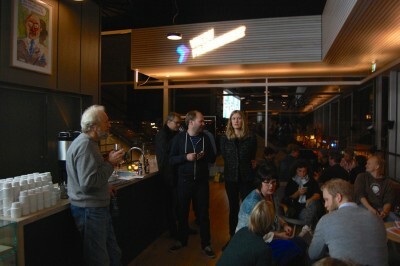 The film was also screened during the festival. Danny Antonucci gave in his presentation an insight into his career as an animator, director and producer and about the distinct art design of his productions and the special challenges that come with TV – formats and in particular TV- series. The Festival started Thursday morning with a creative breakfast lecture. CreativeMornings is a global monthly breakfast lecture event series that started 5 years ago in NYC, and has now spread out to about 90 cities worldwide. The concept visited the festival where Tamaki Okamoto presented her work as a producer and talked about her experience of producing animated short films over two continents. Animated documentaries combine documentary contents with the artistic and technical aspects, challenges and potentials of animation. In cooperation with DOK Leipzig, Annegret Richter gave a introduction to this genre and presented a short film programme with eight documentaries from seven different countries, which all told very personal stories. After the screening Michelle and Uri Kranot presented AniDox:Lab, an international workshop and laboratory, where documentary and animation filmmakers join forces. The presentation focused on the learning process and the results of the last two years lab. 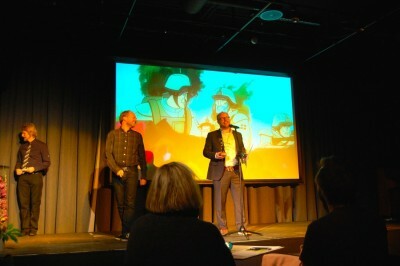 During the Nordic Animation Forum presentation three directors and producers were given the opportunity to present themselves and their productions. The goal was to present and highlight some of the great numbers of projects that are under production in the Nordic region. 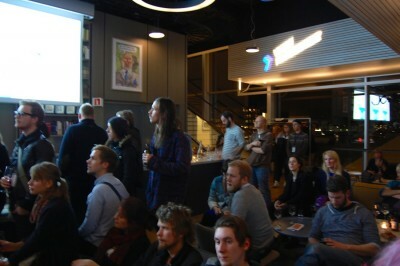 Linda Hämback, a well recommended Swedish producer for animated films, presented her latest project What if. The Finnish design and animation Studio with Anntu Harlin and Joonas Utti in lead, talked about their project Gigglebug, a tv-series and a computer game for I pads, about a little bug that likes to giggle….. And finally Frederik Villumsen presented the company Nørlum and their work with big international co-productions such as Song of the Sea (2014) and Long way North (2015). Paul Mathot is a specialist on puppet making for stop-motion productions and head of the puppet department at Pedri Animation BV based in Bussum, outside Amsterdam. Paul gave the festival audience an insight into the many challenges of building puppets for film and TV – productions. Ars Electronica, founded 1979 in Linz, Austria, is led by the slogan ‘Art, technology, society’. It exists of four divisions, the International Festival, the Prix as competition honouring excellence, the Centre as a year-‘round setting for presentation & interaction, and the Futurelab as in-house Research and Development facility. Juergen Hagler, Professor of Digital Media at the University of Linz and Co-Curator of Ars Electronica, presented an international programme consisting of ten works. Some of the projects were commissioned by museums, municipalities and corporate clients, others were developed by the artists themselves. All the works screened had in common that they conveyed digital images into a spatial context. 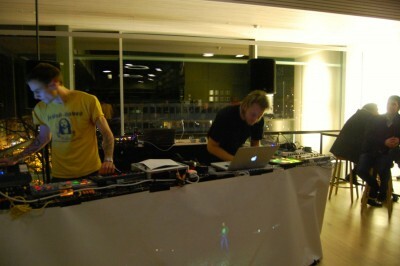 Björn Verloh gave an introduction and a workshop on phonotrope animation. In this workshop the participants had the opportunity to create drawn, modelled and cut-out loops. 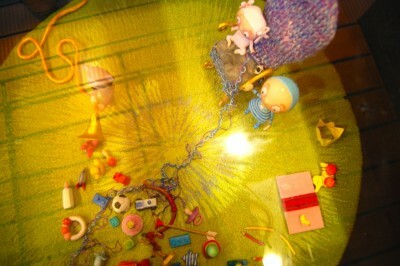 33 stages of animation were placed on a record deck and span at 45rpm. When viewed through a camera the animation came to life! 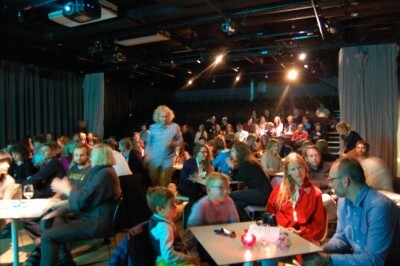 During the festival three exhibitions were displayed at three different venues in Fredrikstad which showed the diversity of the Nordic animation scene 2014. 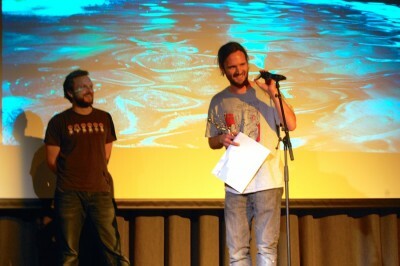 The invited filmmakers used their films, working processes and themes from their films to create unique art spaces. Wife and husband Michelle and Uri Kranot and their short film The Hollow Land has been a well known film the last years, as it has been screened at many festivals. During the festival they invited the audience into the universe that they created for the film. With displayed stills from the film and projections on objects, they created a showroom for the universe of the film telling the film theme in a non-linear way. 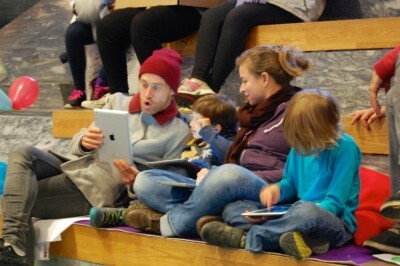 The Exhibition took place at Litteraturhuset in Fredrikstad. 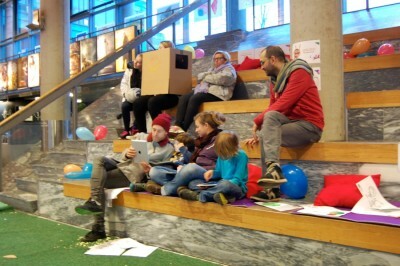 Animator, drawing artist and director Anne Kristin Berge released her new short film for children, which was screened in the children’s programme of the Fredrikstad Animation Festival 2014. 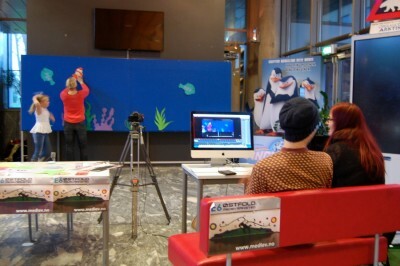 Herman’s Heart is short film in digital 3D, which uses pictures of real puppets and stop motion sets. The exhibition consisted of sets and props from the film, and recreated the atmosphere of the film. 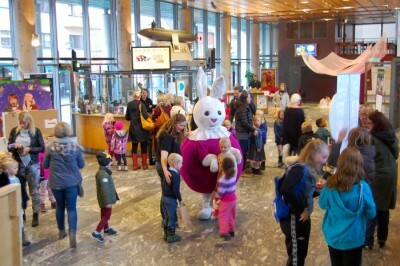 The exhibition was displayed at Fredrikstad Kino. Instead of focusing on one film or a project, the Finnish award winning design and animation studio Anima Boutique, based in Helsinki, decided they wanted to move their workspace and studio to Fredrikstad for the festival. The studio has produced over 200 client projects spanning commercials, music videos, short films, character development, TV-series, and apps. The aim was both to display their work, but also to show the work process and create the original environment that their ideas and execution is created in. Responsible for the exhibition was Creative Director of Anima Boutique, Ville Salervo. 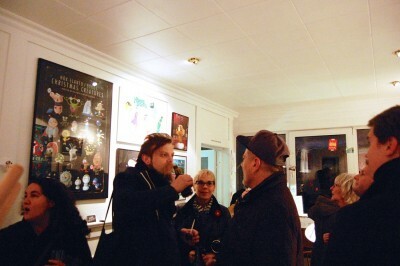 The Exhibition took place at Nebbet. 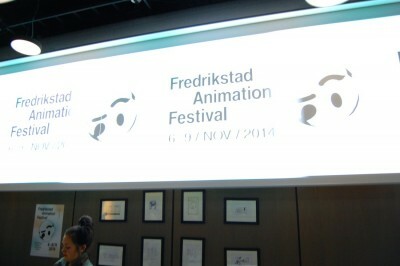 Fredrikstad Animation Festival 2014 was produced by Norsk Animasjonsforum. 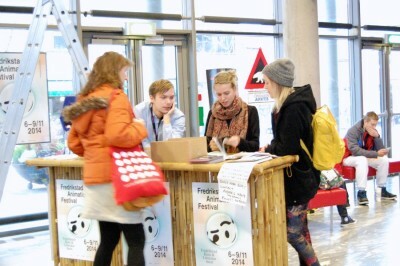 The Festival staff was Festival Director Anders Narverud Moen, Seminar Manager Marita Mayer, Information and Festival Coordinator Therese Øvergård and Exhibition Coordinator Ida Grimsgård. Amandus festivalen i Lillehammer, AnimationVolda, Arena Magica, Ars Electronica, Creative Mornings – Oslo, The Austrian Embassy in Oslo, The German Embassy in Oslo, Doc: Leipzig, E6 – Østfold Medieverksted, Film & Kino, Frame by Frame, Fritt Ord, Fredrikstad Kino, Fredrikstad Kommune, Grafill, Karivold Film, Nordic Culture Point, Litteraturhuset i Fredrikstad, Nebbelux, Netron, Norwegian Film Institutt, Qulthus, Rica City Hotell, Viken Filmsenter and Østfold kulturproduksjoner.